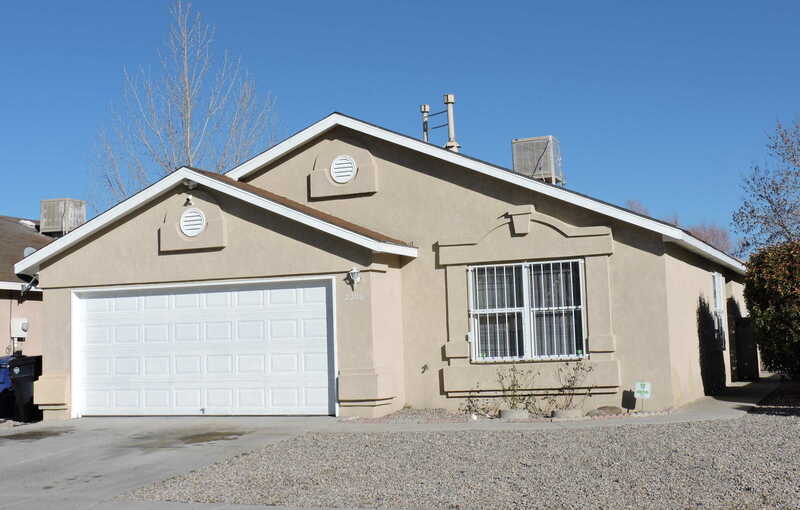 MLS# 937313 - 2208 Desert Breeze Drive Sw, Albuquerque, NM 87121 - The FIRM Real Estate Group Inc.
Great Starter Home! Don’t miss this 3 Bedroom/2 bath home with GORGEOUS VIEWS! Neutral colors welcome you home and this home is ready for you to put your special touches on it and make it yours! Garage has been modified and one half is currently used as a bedroom, it could also be an office. Seller is willing to remove wall to return it back to 2 car garage. Low maintenance front and back yards enable you to enjoy your time at the end of the workday. Did we mention the GORGEOUS VIEWS? Minutes away from I-40 and Unser. Offer Now!